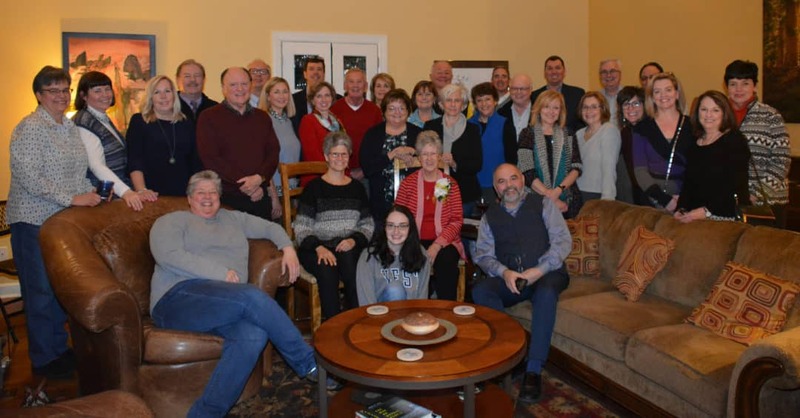 Sister Judy Raley’s 80th birthday was celebrated in grand style on Thursday, March 7th at the home of SCNAs Bob Scheri and Jane Franz in Chattanooga, Tennessee. A host of Chattanooga Associates, CHI Memorial executives, and friends gathered to celebrate Sister Judy, sharing how she has impacted each life – showing us all the face of God. Happy birthday, Sister Judy! Judy, Congratulations. Blessings on your dedication to ministry for so many years. You look terrific and are blest with so much love. Best wishes. Happy Happy Birthday Sr Judy! May our good Lord bless you with many more years of health! for all you do and for all in with those in Chattanooga. Judy keep celebrating. Have blessed week. Thanks for witnessing the Love of Christ…and your love! Great to see you celebrating LIFE WITH YOUR DEAR & NEAR ONES. You are a LIFE GIVER! May God bless you with many more wonderful years ! Go for it and keep on enjoying life and sharing that joy with others. From one Sr Judy to another happy birthday Sr Judy! Your smiles speak greatly of how much you value Judy and her years with you. I’m glad it was so much fun!